We welcome you to our desktop customization website to present collection of free screensavers, desktop wallpaperss, animation themes and backgrounds for your computer at DesktopLand.com. Here at DesktopLand we try to collect only the wonderful art work of photographers, programmers, and painters in the field of desktop computer graphics. Here you will find original works, divided into separate categories (3D, animals, fantasy, sports, nature, space etc.). Currently, more and more pops take animation desktop themes. We have tried to demonstrate to you the most beautiful among them. Also on our web resource you will find a collection of different icons in various formats and resolutions, to develop web and computer applications and original customization for PC desktop. Here in DesktopLand.com is a collection of creative and original desktop wallpapers, free 3D screensavers, backgrounds, animated desktop themes and much more for your computer and applications. We are constantly searching to bring you only the best. You'll be pleased. We also provide the unique instructions for the creation of savers, walls, original themes and desktop tools for creating them. The authors reviews are accepted. DesktopLand.com is the unique art guide and search collection for many Desktop Customization Online Stores. Easy, quick, and smart downloads for desktop wallpaper in HQ, many Resolution (in 1080p), novel screensavers and more for computer with previews and downloads. Computer pictures are as balanced as wild nature around us. They can be created in various ways - through personal designer, or 3D-graphics. A rich selection of tools gives you the choice to the user and sets it on the excellent work. Thus, the choice of images is very important in their daily work at the PC. All material free sorted by category and available for preview and free download. Specify the desktop resolution and theme (3D, widescreen, big space, landscape, wild nature, nice animals etc.). Surprise your colleagues gorgeous custom animated screensavers and Mouse pointers. For original web design you can find a lot of free iconsets, themed backgrounds and web fonts for blogs and websites. For applications developers are sets of creative skins, hotbars, app toolbars, and iconpacks. Also presented anime cursors, uniq Mouse icons, 3d animations, IE, Opera, Firefox, Chrome Browsers skins. Our brigade tried to gather the best selection of desktop tools for working on the PC. Many talented designers send us their superior work and we always welcome such initiatives. Excellent resource for all fans of computer graphics. I am very glad that I found DesktopLand.com. Very conveniently sorted material. Thank you. I recommend to all my colleagues and friends. 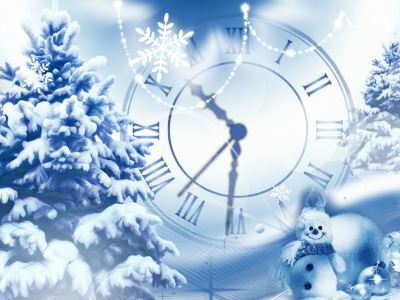 We have prepared new Snowfall Clock Screensaver for you in the days before Christmas. If you want to make your home a holiday atmosphere, then this screensaver is for you. Celebrate Christmas with us and with our new screensaver. Make a free gift to your computer. You can install this screensaver on your relatives and friends computers, to make it a pleasant surprise. Our screensaver not only beautiful, but also functional. You will always know what time it is. The screensaver has a analog clock. Very nice: big clock in the frame attributes of Christmas and New Year holidays. Installation takes just a couple of seconds! Download free snowfall screensaver! Present to your attention our new Spring Love Screensaver. We have it specially dedicated to all lovers. Beautiful and high-quality animation, unobtrusive but tastefully executed screensaver will decorate your desktop. 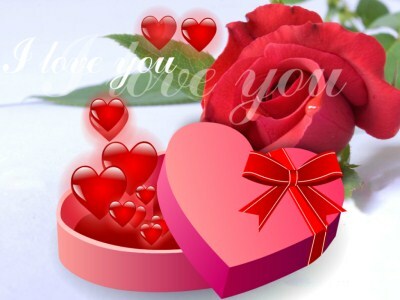 Remember the most romantic day of the year, February 14. Want to congratulate and amaze your soul mate? Then set it to your computer, this screen saver or send the link for downloading. Be together in this beautiful day. And let the decoration of the day will be our new Spring Love Screensaver! If you are a fan of the cult film The Matrix, you will like the main characters of this film. 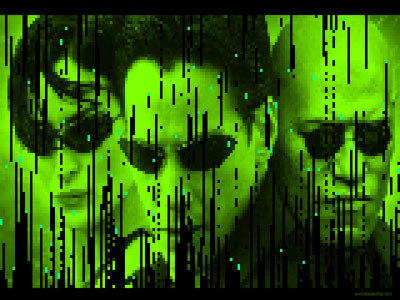 Free Matrix 3D Screensaver is sustained in the style of the film. Green characters are running vertically down in columns on the black background. You will be impressed by our emulation of green matrix code falling down on your screen. Download it now absolutely free and appreciate our new Matrix 3D Screensaver for sure! Installation is simple and will take you just a couple of seconds. Why do we love Christmas and New Year? These days more than ever we feel the value of the home warmth and comfort. We decorate our house before Christmas, the homes start to sparkle trim the Christmas tree, decorated with bright toys. And every year we are pleased to celebrate Christmas and New Year are waiting for positive change in the new year, hope for the best. Well when you can spend the holidays in the forest, surrounded by the majestic scenery of the winter. However, not all of us use this possibility, but with our animated wallpaper Christmas Snowfall you will always have the opportunity to spend a couple of minutes in the winter forest, even in summer. 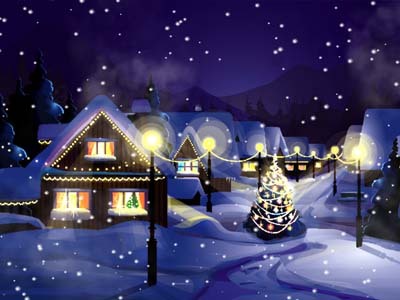 Download and install free animated wallpaper Christmas Snowfall! GroupDocs.Conversion for Java is a universal document conversion library designed for easy integration into your own Java apps. The library allows you to convert 50+ document types, including Microsoft Word, Excel, PowerPoint and Visio to PDF and raster image files. To name a few, the library converts: - Word (DOC, DOCX) to PDF - Word (DOC, DOCX) to image files (TIFF, PNG, JPEG, BMP) - Excel (XLS, XLSX) to PDF - Excel (XLS, XLSX) to image files (TIFF, PNG, JPEG, GIF, BMP) - PowerPoint (PPT, PPTX) to PDF - PowerPoint (PPT, PPTX) to image files (TIFF, PNG, JPEG, GIF, BMP) - Outlook (MSG, EML) to PDF - Outlook (MSG, EML) to image files (TIFF, PNG, JPEG, GIF, BMP) - Visio files to PDF and raster images - PDF to image files (TIFF, PNG, JPEG, BMP) - RTF, TXT, CSV to PDF and raster images - HTML to PDF and raster images - And a lot more GroupDocs.Conversion for Java doesn't require Microsoft Office Automation, has no 3rd party dependencies and can be easily integrated into your own app hosted on any Java servlet container. Input documents can be obtained from a file path or URL, while converted files can be saved to a file or sent to streams. Upon completing conversion, the library provides you with paths to each output file/stream. To test the library without any restrictions, please feel free to contact GroupDocs sales for a 30-day fully-functional trial.